You've reached the final session of Latinas In Progress. 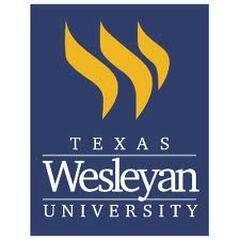 Our last destination is Texas Wesleyan University. They welcome us to their campus where "Smaller. Smarter" means you get a rich education full of Ram pride! Navigating college is full of challenges and our final session prepares you to face this journey with confidence and determination. We have some dynamic speakers lined up. You'll hear from Stephanie Rettig M.A., LPC a Career Services Coordinator from TCCD North East Campus. She'll share ways to communicate effectively with your professors and peers. Deputy Chief Julie Swearingin from the FWPD will be there to share Her Story and teach you to be more aware of your surroundings. Don't miss the conclusion of our Latinas In Progress Education Series. It's the final farewell to the Class of 2019. Your completed scholarship application may be postmarked 2/19/2019 or personally handed in at this session. Wilma Lopez, our Scholarship Chair, will be there to receive your application. "People think that at the top there isn't much room. They tend to think of it as an Everest. My message is that there is tons of room at the top." -Margaret Thatcher, the UK's first (and thus far, only) female Prime Minister.